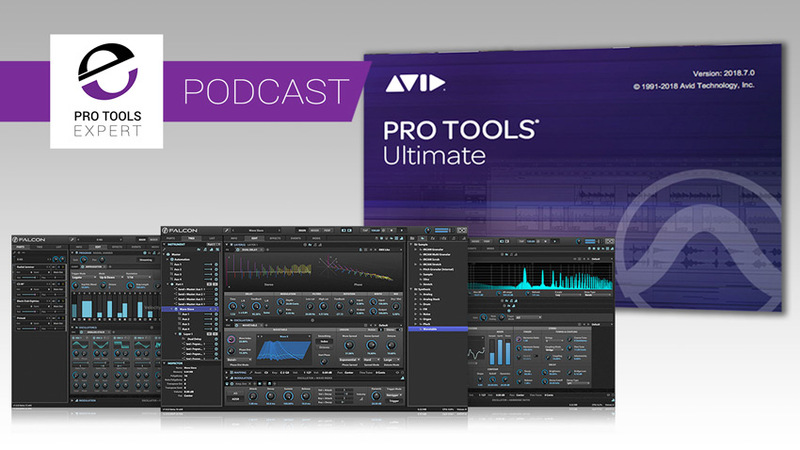 In this week’s podcast, Mike, Dan and James discuss the recent announcement that Avid will be bundling UVI’s Falcon with active subscriptions, they look at some of the areas for potential confusion. They answer your questions and share their finds of the week. Michael Carnes from Exponential Audio has now shared 4 tips with our podcast community. Check our article Expert Reverb Tips & Tricks in which we bring together 4 tips Michael has already produced for our podcast community including the latest tip ‘Using The Compressor To Make Level-Sensitive Reverb’ as there's a compressor/expander built into the warp page of all the second-generation reverbs. Buy Sonarworks Reference 4 Studio Edition And Get Free Lifetime Access To Sonarworks True-Fi Worth $79. Over the month of December 2018 our friends at Sonarworks are running a very cool deal. Buy Sonarworks Reference 4 Studio Edition with mic and get lifetime access to desktop and early access to Sonarworks True-Fi mobile app worth $79 for free. Win One Of 31 Prizes Worth Over $30,000 In Our Christmas Prize Draw Competition In this year's end-of-year prize draw competition we wanted to give the Production Expert community the best chance of winning a prize by offering more individual prizes in one prize draw than we have ever done before. This year we are offering the chance to win one of 31 prizes worth in total in excess of $30,000, check the site over the coming month for details of our amazing prizes. Glenn Skinner Is sure he can hear a difference between the results he gets from Melodyne when bouncing compared to committing. James - Tascam DA-6400dp, 64 channel hardware recorder that can take, Analogue I/O, Dante or MADI input. Fantastic backup machine or partner to your analogue desk for that tape based workflow.